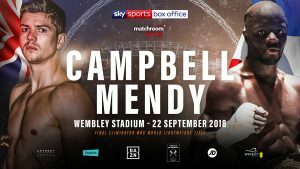 Campbell vs. Mendy lands on the undercard of Anthony Joshua’s Heavyweight unification blockbuster with Russian powerhouse Alexander Povetkin at Wembley Stadium connected by EE on September 22. 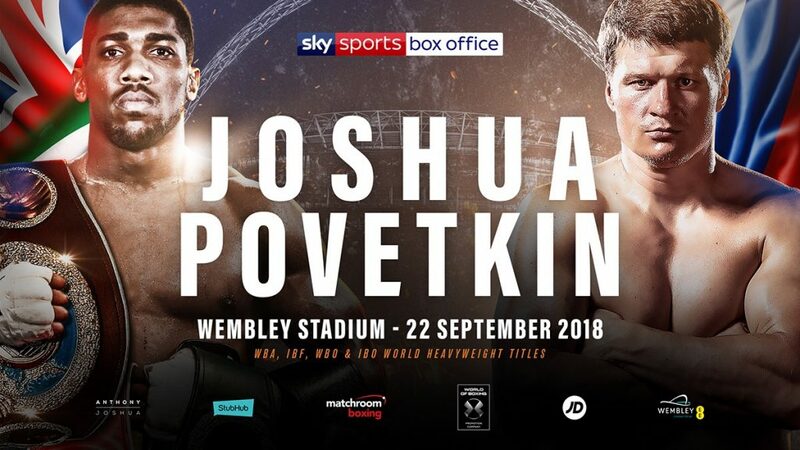 The first period of ticket sales for the World Heavyweight blockbuster between Anthony Joshua OBE and Alexander Povetkin on September 22 at Wembley Stadium Connected by EE will commence at 9.00am on Monday July 23. Tickets will be available from 9.00am on Monday July 23 to Club Wembley members who can purchase tickets and packages via the Club Wembley website or by calling 0800 743 1440. Tickets go on sale at 9.00am on Monday July 23 to Matchroom Fight Pass members via www.stubhub.co.uk. 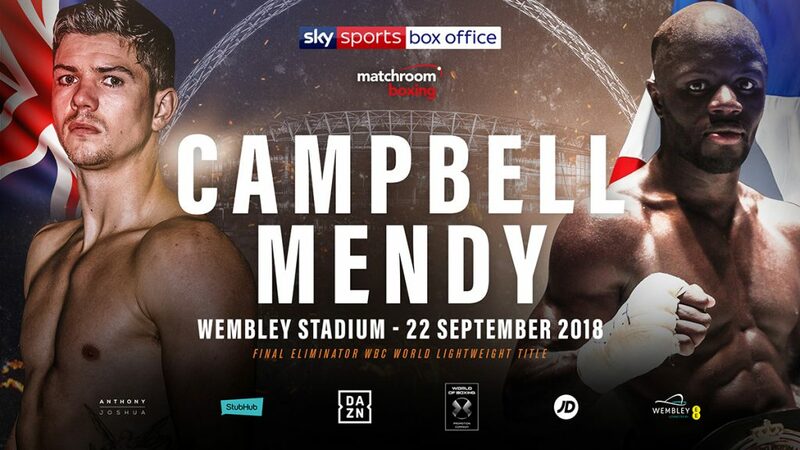 Tickets go on general sale at 9.00am on Tuesday July 24 via www.stubhub.co.uk the official ticketing partner or https://events.wembleystadium.com. For accessible tickets please call Wembley Stadium on 0800 093 0824. Official ticket and coach packages with National Express go on sale at 9.00am on Tuesday July 24 via www.stubhub.co.uk, with 45 departure points across the UK. 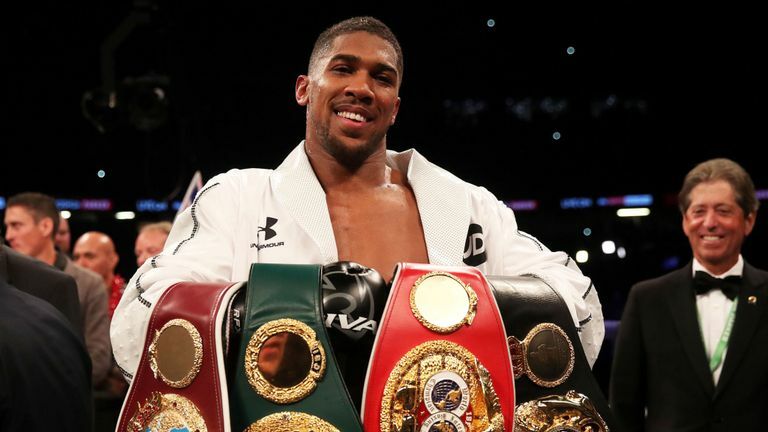 Anthony Joshua OBE will defend his WBA Super, IBF, WBO and IBO Heavyweight World titles against WBA mandatory challenger Alexander Povetkin at Wembley Stadium Connected by EE on September 22, live on Sky Sports Box Office. 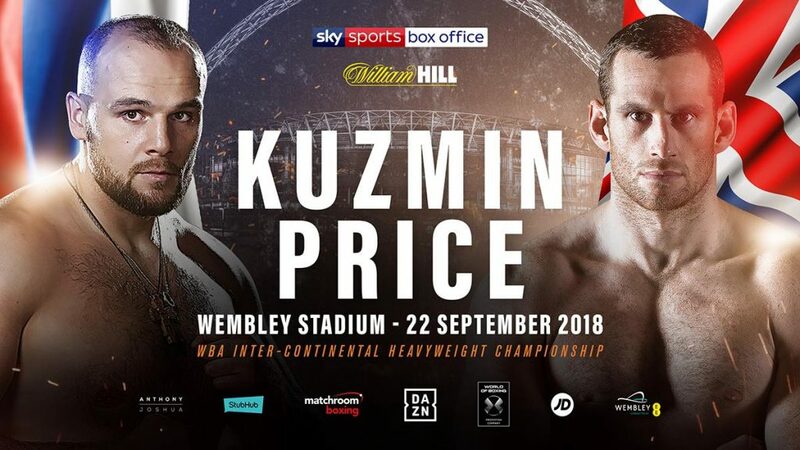 The Heavyweight king returns to the scene of his historical triumph over legendary Champion Wladimir Klitschko in April 2017, where he produced the performance of a lifetime to claim the WBA crown in an unforgettable battle in front of a post war record crowd on 90,000 at England’s national stadium. 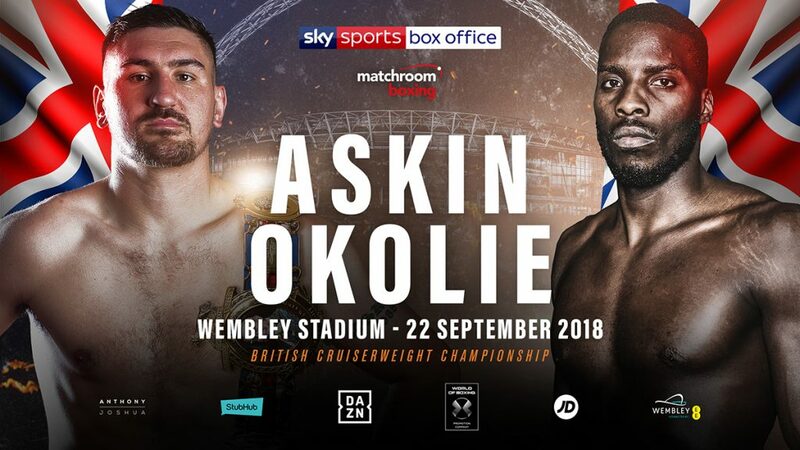 The 28-year-old sensation went on to sell out the Principality Stadium in Cardiff twice, defending his belts against Carlos Takam in October before unifying the division by taking Joseph Parker’s WBO belt in March and is now thrilled to be back under the iconic Wembley arch for what promises to be another blockbuster night. “I can’t wait to get back in the ring, the end of March feels a long time ago now,” said Joshua. “Povetkin is a serious challenge that I will prepare meticulously for. He has serious pedigree and only a fool would underestimate what he brings to the table. 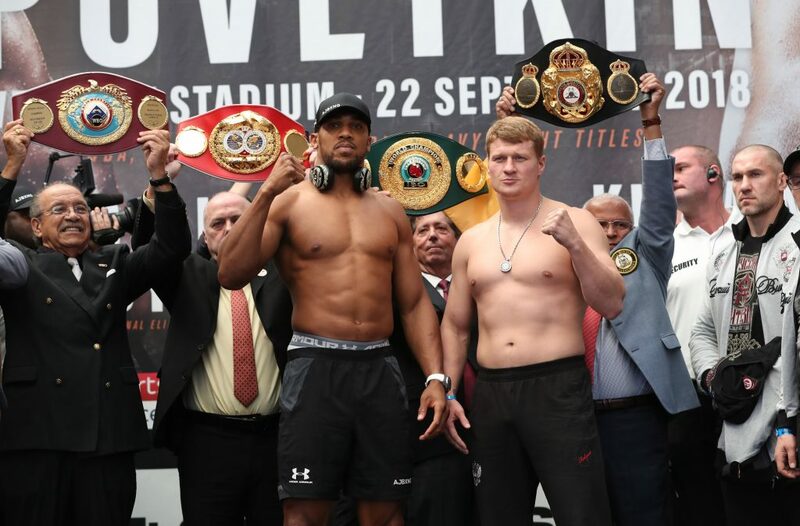 Former WBA ruler Povetkin earned his shot at Joshua when he spectacularly defended his WBA Inter-Continental and WBO International titles with a brutal fifth round KO of Liverpool’s David Price last time out on the Joshua v Parker undercard. Now the Russian powerhouse is aiming to overthrow the biggest name in boxing when he fights in England for the first time in his career. 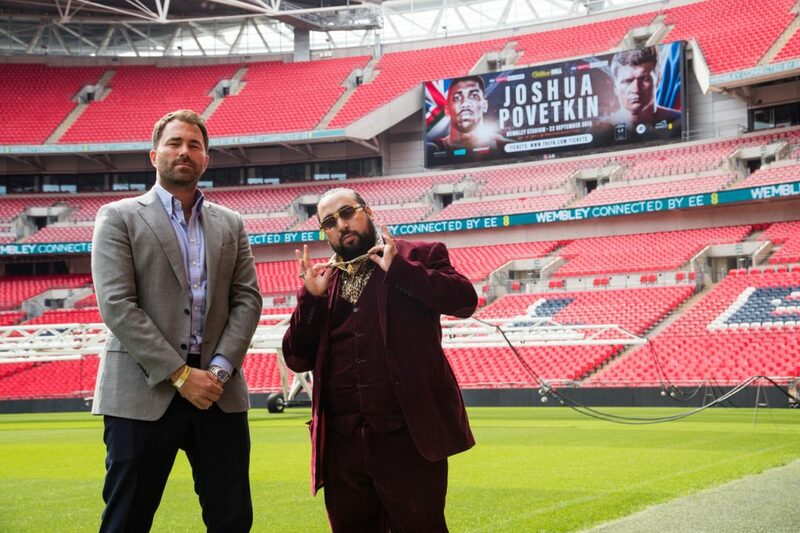 “I can’t wait to return to Wembley on September 22nd for what I believe will be one of the biggest tests of AJ’s career,” said Joshua’s promoter Eddie Hearn. 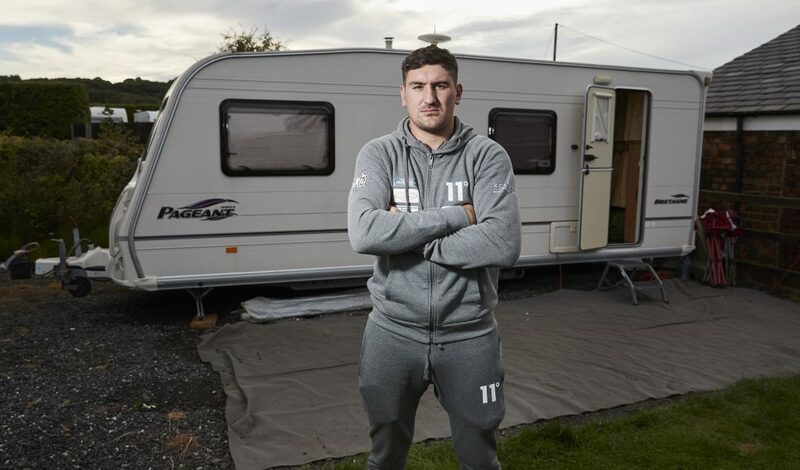 “Last time he was there he produced one of the most dramatic fights and endings in the history of the sport and I expect this fight to be full of energy and drama – Povetkin is a Top 3 Heavyweight and extremely dangerous but in AJ I see the best Heavyweight in the World today and I think we will see a major statement. An announcement on on-sale dates, ticket prices and travel packages will be made this week.